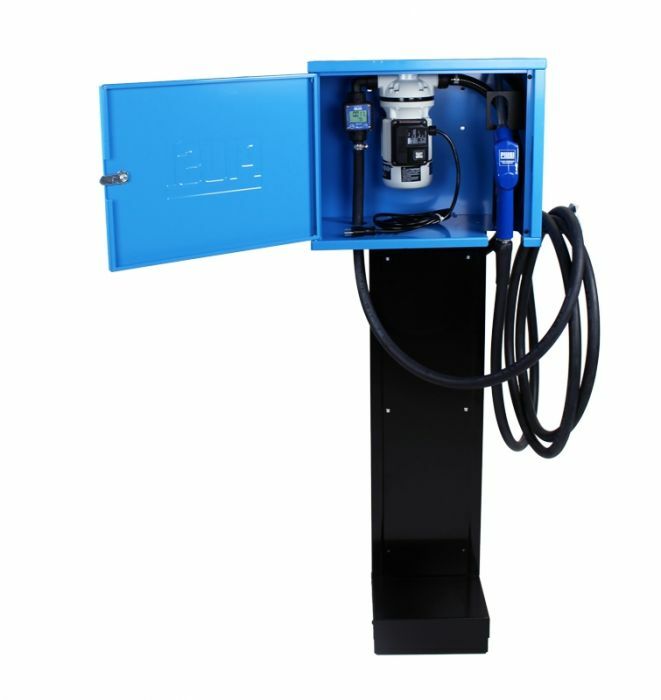 Now you can dispense, manage and transfer your Diesel Exhaust Fluid (DEF) to your entire fleet with this mini-bulk dispensing system. The SB Mini-Bulk Dispenser by Piusi, offers a lockable enclosure to keep unauthorized users from dispensing DEF from your bulk tanks. It utilizes the Suzzara Blue line of DEF pump kits that is built into the encloure. You can track the usage by monitoring the easy to use K24 digital flow meter with resettable totalizer. This unit comes complete with the pedestal as well discharge hose for a quick plug and play set up.